Artisan organic bakery Loafer Bread sell their delicious bread and pastries from their small shop-front in North Fitzroy as well as supplying nearby cafes with their goodies. 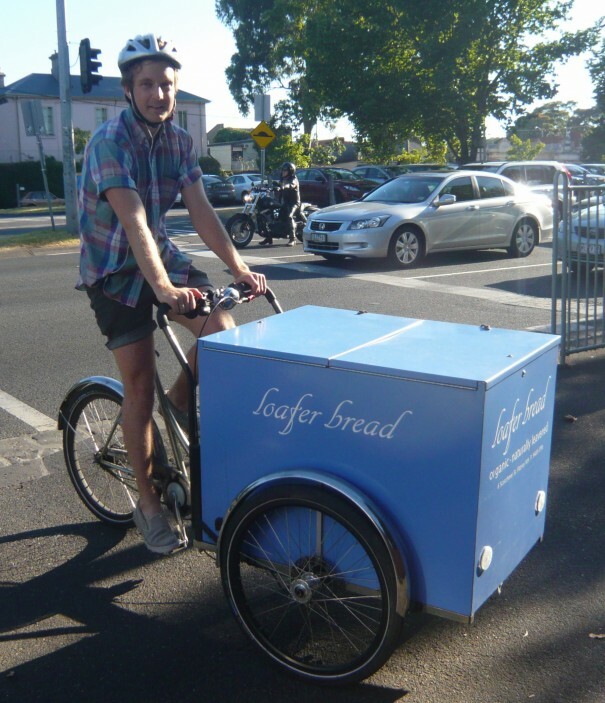 And being a socially conscious business of course their fresh bread is delivered by bike! It’s a Christiania cargo bike from psbikes.